Laurel Shastri (M.S. in Geology) brings a unique perspective to dance. An experienced teaching artist, she specializes in integrating dance with diverse subjects such as science and language arts. She is part of Arts Council Santa Cruz County’s Artist Teacher Partnership, co-facilitates teaching artist workshops, and serves in Montalvo Arts Center’s Teaching Artist Program. She has presented workshops for educators at San Jose State University’s Marion Cilker Conference for the Arts in Education, Montalvo’s Arts in Your Classroom Conference, Tennessee Art Commission’s Creativity in Education, Arts 360 (Knox County, TN), National Association for State Arts Agencies, Value Plus, Southeast Center for Education in the Arts, and Arts Build. Laurel’s integrated lesson, ‘Greetings Through Movement’ is featured in the college text 'Creating Meaning Through Literature and the Arts,’ by Claudia Cornett. She served seventeen years at Ballet Tennessee, as Associate Director, company dancer, faculty, and grant writer. She was on the faculty of the model outreach programs Dance Alive and Talent Identification Program. 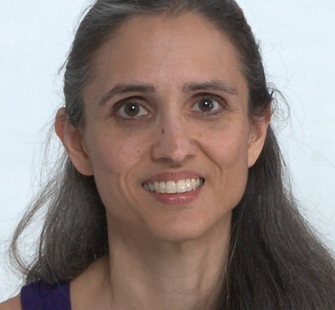 She is a faculty member of Dancenter with certification in Progressing Ballet Technique and performs with MoveSpeakSpin, a contemporary dance company directed by Karl Schaffer. In 2015, she was resident dancer at the Djerassi Artist Residency Program’s Scientific Delirium Madness II. She is the recipient of Ballet Tennessee’s 2018 Dance Alive Legacy Award.